Boney M with Maizie Williams disco & pop group. Maizie is the original singer & member from the very birth of this fabulous group. Probably the greatest Disco group ever! Maizie featured on all their top ten hits including classics such as Daddy Cool, Belfast, RA Ra Rasputin , Rivers of Babylon/ Brown Girl in the Ring, Ma Baker, Mary’s Boy Child-Oh My Lord , Hooray Hooray It’s a Holiday, Sunny and many more. 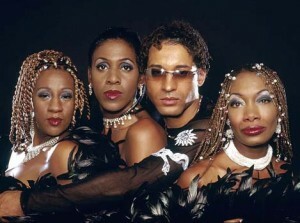 In the 70’s & 80’s every discotheque around the world played Boney M and every TV show had to have this stunning-looking and fabulous-sounding foursome from the Caribbean. Boney M is arguably one of the greatest Disco bands ever. The great mother that gave birth to Disco wasStudio 54 in New York where, on the dance floor, tubes studded with lights steadily rose and descended, Flash Gordon style, in a dizzying frenzy, while an unearthly sound system pumped out the steady beat of sizzling dance mixes – often at mind-numbing decibels. There was a mood, an atmosphere, a carefree, no holds barred, non-stop party of seemingly unaccountable indulgences. It was a magical moment in time… truly unforgettable… totally wild and wonderful. 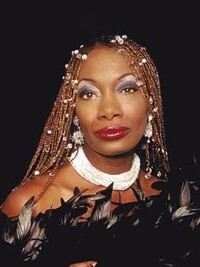 Maizie Williams is not only the longest surviving member of the original Boney M. band but, along with Frank Farian, probably the most influential in deciding the long term line-up since it was she who vetted the subsequent members to make sure they would all share a certain chemistry. The initial line-up had been without question a visual front for a record that was already a radio hit, while the follow-up combo was selected more for its broader talent and potential longevity. Maizie Williams, and two others she remembers only as Nathalie and Mike, were briefly recruited to dance to Frank Farian’s hit: Baby Do You Wanna Bump, for Dutch TV – a song sung entirely by Farian himself at that point. The first real band was then put in place for the follow-up, the other original members leaving largely through lack of faith in the project. Maizie and Frank approved and recruited in turn Marcia Barrett, Bobby Farrell and finally Liz Mitchell. Together they went on to establish Boney M. as a closely dependent and indefatigable recording and performing entity in which they all, to different degrees, performed, sang, danced and generally contributed to their greatest ability.